Click on these images for a larger picture. Pictured above is a typical Glasspar G-2 owned by Bill Hoover. Bill bought this car new as a kit and assembled it himself. He still owns it today. G-2 Glasspars are often mistaken for a Woodill Wildfire. Even after repeated warnings, the seller continued to advertise this as a Woodill. Although it looks somewhat like a type one Wildfire, the dash is different, the rear fenders are rounded off, and it doesn't have a simulated scoop in an area in front of the hood. (See the Woodill photos in our Woodill section) The The G-2 also has but one door unless the buyer paid for a second one as the body was produced strictly as a kit to be affixed to a frame of your choice. The two to three type I Woodills built were sold as completed vehicles. What the G-2 and the Woodill have in common is that the bodys were both built by Bill Tritt. The type two Woodill looked quite different. 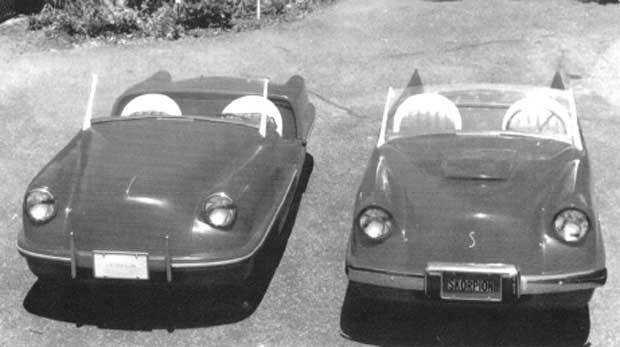 Seven production cars were built before converting to kits. The production cars all have a custom frame by Shorty Post. 1950 was an exciting year for Jack Wills and his friend of 8 years, Ralph Roberts. 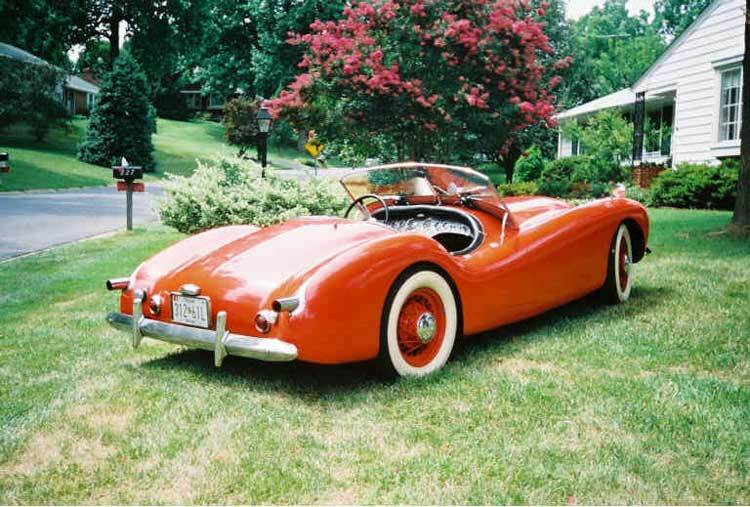 Together, they had been involved with fiberglass since its inception, and had experimented with a fiberglass body shell on a Crosley chassis with a motorcycle engine. 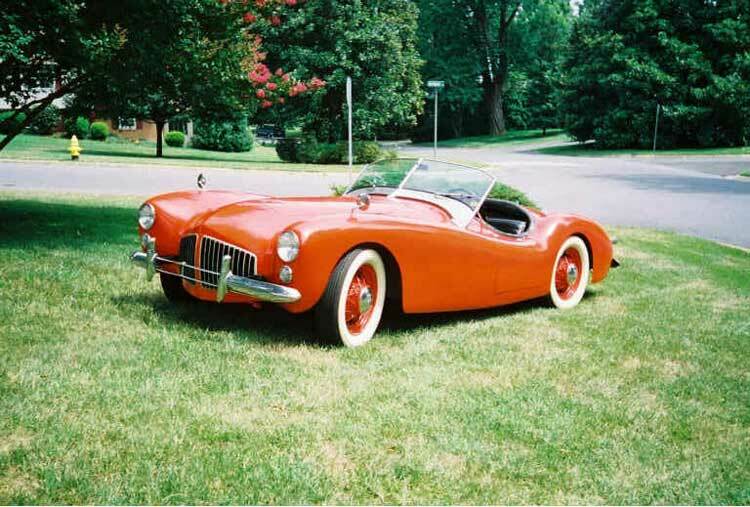 This project called the Wasp, led them to finally hit upon a workable idea: manufacture a fiberglass body that could be adapted to the same chassis but with Crosley running gear. Roberts, a designer, went to work for Le Baron in 1921. In the next twenty years he became the top man with that famous custom body firm and also chief of the styling section for the Briggs Corporation in Detroit. The Chrysler Thunderbolt was one of his designs, and classic fans are familiar with his work on both the Packard 12 and the Chrysler Custom Imperial. We have examples of those at the show today. Jack on the other hand had been working with plastics since 1936. He built everything from ornamental dogs to full size hulls for boats.He was one of the first to recognize the possibilities of fiberglass. With a team like t expect anything but success. Hence the Skorpion. While the bulk of the units produced were in kit form, the two men did build four complete cars, which puts them in the same league as I many other sports cars produced at that time. The fiberglass body consisted of four large parts along with a few small ones. 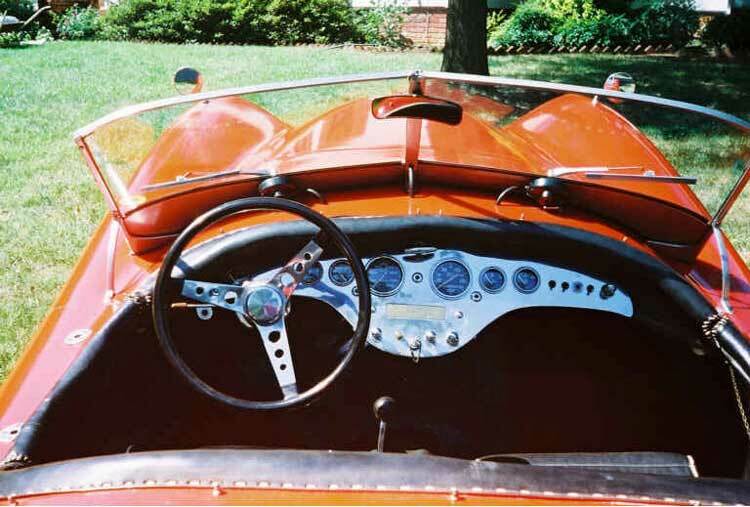 Body components were designed to fit a modified Crosley chassis.The cars could be produced from standard Crosley running gear, but could also be made using components from the "Hot Shot" model, the fast and agile sports car Crosley produced. 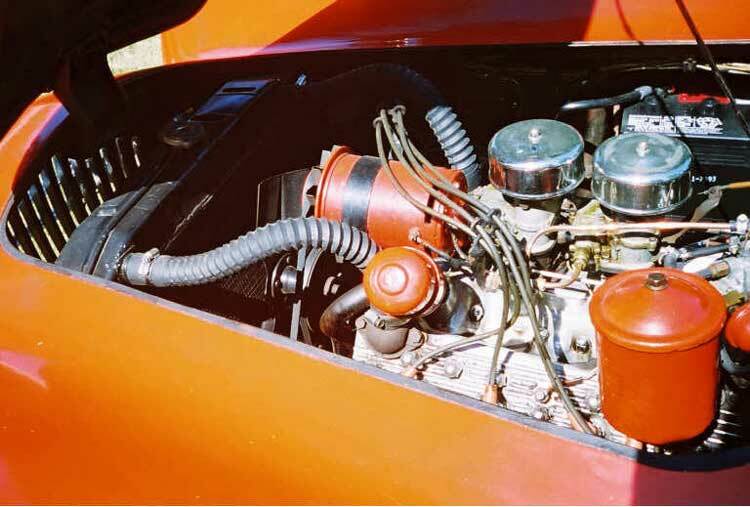 In fact, the little "Hot Shot" had grown so popular among the sports car set that speed equipment was abundantly available for that Crosley motor. The car was very agile and could attain speeds of upwards of 90 MPH! Jack went on to become a noted authority on fiberglass and wrote a book on the subject, Glass Fiber, auto body construction simplified, which was used as a primer for most up and coming people in the field. 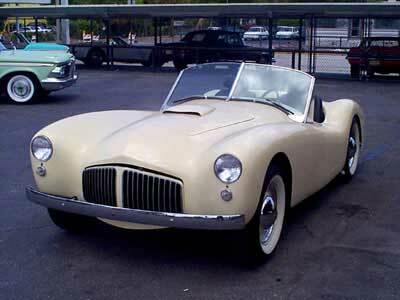 Lots of one off dream cars were built out of fiberglass in the 50's. Many have lost their identity. Here is one of the better ones. This mystery car was sent to me by Michael Acerra. Styling appears to be late 50's early 60's. Workmanship leads me to believe that there may be more than one and that it has a name. Mike says I recently purchased this car and need help finding out history. The last owner had purchased the car from a local dealer in 1988.